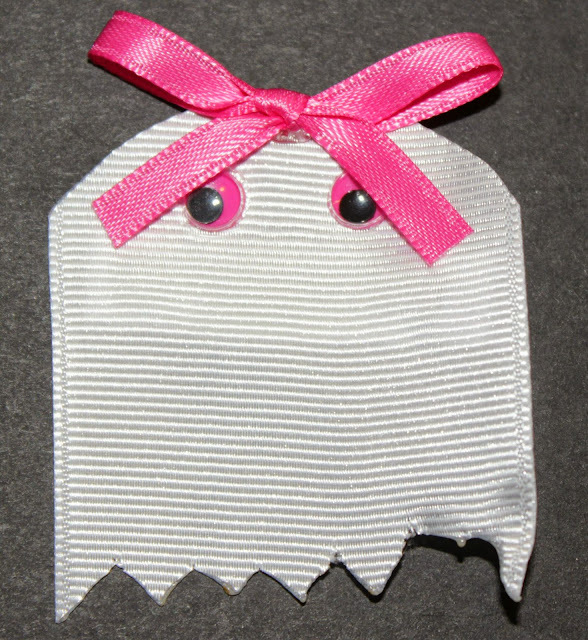 Today’s project was a Ghost Clippie. For this you need 2″ wide white ribbon, then trim it to have a curved top and jagged bottom. Use a heat sealer or fray check to keep the ribbon from fraying, add some googly eyes and a tiny bow, then attach it to your hair clip.